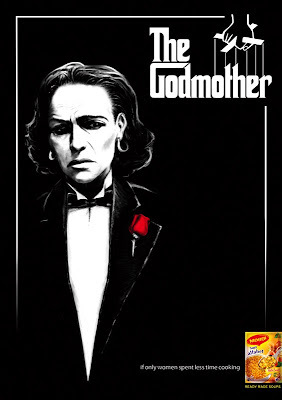 Resonance ...: Godmother (1999) - Rambhiben ki Jay !!! Starring : Shabana Azmi,Milind Gunaji,Raima Sen. Most in this world have appreciated Francis Coppola's "The Godfather",in its original form and if not,have witnessed it in some other forms.Such was the influence that this timeless classic has on the filmmakers and it radically restructured the film theory,in general. Can a woman be a power-center,can she be a influencing political figure,How will she don a mafiosi ... If a marvellous actress like Shabana Azmi can do it with effortless ease on-screen,It's always a treat to watch and mind you,Shabana won the National Award for the Best-Actress for Godmother in 1999,her fifth and the most recent one. The film starts in a drought-hit village/terrain/plains in Gujarat and offers several dry but colourful and captivating images.The protagonist couple, Veeram(Milind)and Rambhi(Shabana) are planning to leave the village,reluctantly.They reach a nearby town and here,Veeram achieves a cult status and influential & faithful following among his community people with all his saviour acts.There's a lot of communalism portrayed in the film and how this communal unity has been utilised for the political gains of the people at the top,is shown through-out. Rambhi(Shabana)has been a humble and calm housewife,bringing up her newborn and kitchen-stuff for almost half the movie.Veeram gets murdered and Rambhi becomes the power-center.From here on,Shabana takes control and carries the film with her.The transition from the housewife to a powerful panchayat leader is portrayed in a two-minute sequence and it is awesome.And like "The Godfather" and "Nayagan", there's a vendetta sequence portraying cruel murders of the people,who killed her husband. Rambhi has a son,his love for Sejal(Raima Sen),Sejal's love with a muslim guy,Communal riots,Rambhi's justice,Rambhi's sacrifice and all that forms the rest of the story.There's nothing great or novel with the film's plot or screenplay.The only thing that is worth discussing is Shabana's performance throughout the film and especially after she becomes the power-center of her village.She has worked well on the walking styles(she just walks like a man,shedding off the female Nalina)and body language. 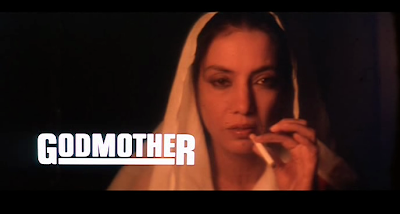 There are many other impressive characterisations and performances but they get effectively masked by Rambhiben's (Shabana) image and personality cult.It was a real pain to see a naive and amateurish performance from Raima Sen sharing the screenspace with iconic Shabana.Aged Shabana Azmi looking old in the first part of the movie,was a negative aspect. The cinematogaphy captured everything in its true sense and color and there were lots of close-up shots in the movie,studying the faces of the protagonist and the support-cast.With the actors,emoting right with the eyes and facial expressions,the idea didn't sound bad. This is not an absolute off-beat film or a serious parallel cinema stuff.The film has its own dramatizations,share of cliches,one or two bollywood-ish song sequences,communal riots and all that.Recommended for Shabana Azmi's fans,who would like to watch her,do a DON.